Everywhere. Every case. Every time. What is the OSCR360 Solution? Inspired by a juror's experience, the OSCR360 solution becomes a container to organize, connect and preserve your digital evidence forever. Gain depth, perspective, and a greater understanding of your case with the ability to provide a virtual crime scene walkthrough. OSCR360 is a multi purpose tool being used by: Law Enforcement, Fire Departments, Emergency Management, Environmental Safety Agencies, Attorneys, Universities and Schools for curriculum and active shooter planning, and many other Federal, State, Local and Private agencies. Use the OSCR360 capture kit to document your crime scene. Use the OSCR software to organize and present your case. Supporting crime scene evidence can be added to each project/case. Case organization is maintained from capture to presentation. Built from your voice, thousands of hours have been spent collaborating with Law Enforcement and Prosecutors. Every feature in the OSCR software came from your feedback and was developed with your budget challenges in mind. OSCR360 references available upon request. This is an economical solution built with your budget challenges in mind. Created from your voice. 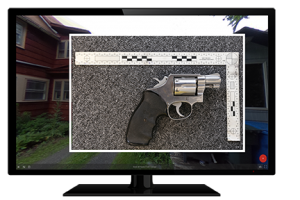 Take 360 degree crime scene photos in just three easy steps with on-screen instructions. No post production or training required. Instantly review your 360 degree evidence photography and show command staff and other crime scene technicians on the OSCR tablet. Capture an entire crime or crash scene in under 20 minutes. Reduce the length of road closures and shorten the time officers and the community are exposed to danger. Pack up your Capture Kit, throw it in the back seat, and you're ready to go! All kit components come in this small, 5 pound bag. OSCR360 has been used on 23 cases/pleas and counting. The Capture Kit is everything you need for your 360 degree forensic photography. This solution is easy to use, minimal training required. All software features are and will continue to be your ideas. Quickly set up and complete your crash or crime scene documentation. 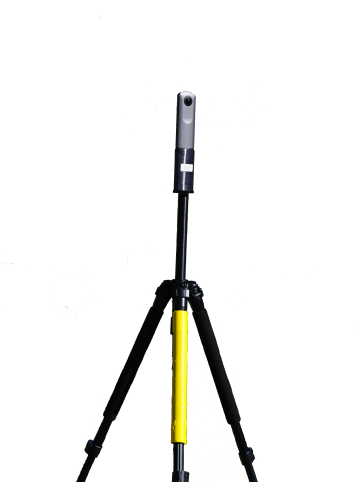 Cardinal direction and GPS data are automatically recorded with L-Tron's sensor tube. OSCR software acts as a container for your case information. Sync your 360s and add in digitial evidence files. Organize your case by creating a project in the OSCR tablet. This will be your case/CR number. All related evidence is contained in this project. Today's juries expect to see digital media. Deliver a virtual tour of your case and take the entire jury back to the scene as it was found. 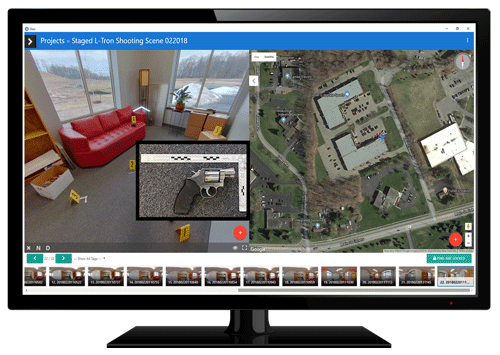 Use your 360 crime scene photography and digital evidence to organize and relate the visual & audio case data, suspects, victims, & more. Connect the dots. Use the desktop software to organize your crime scene evidence. Overview of OSCR360 for crime and crash scenes. Hear from Retired Sergeant Grasso, expert crash reconstructionist, on how OSCR is changing the game for collision investigations. [Article] How easy is OSCR to use? Learn how easy OSCR is to use in this article series. Learn tips from an expert crash reconstructionist. 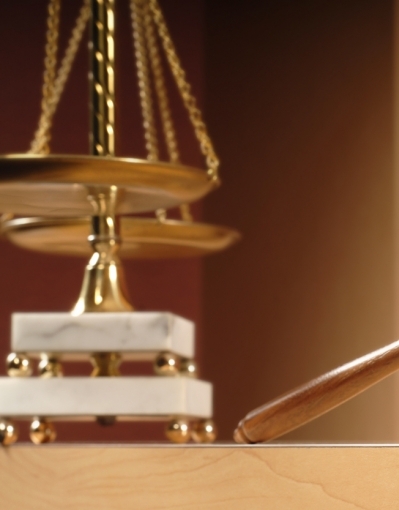 [Article]: What do jurors expect in the courtroom? Today's juries are immersed in media. The expectation of having rich media in the courtroom is the same. Learn about the 'CSI Effect' in our courtrooms and why it is imporant technology is kept up-to-date. [Article]: OSCR for Everyone. Every Case. Learn why OSCR is your go-to multi-purpose tool for any investigation, for any agency. We get asked about funding a lot. 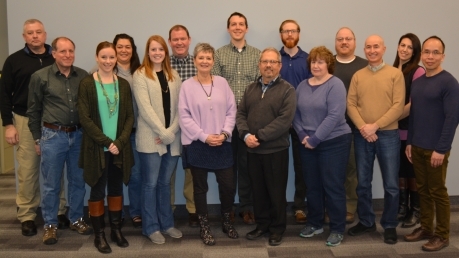 Learn 20+ ways agencies are funding OSCR360. 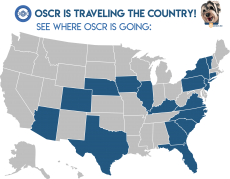 See where OSCR360 is Traveling! Over 200+ agencies have met OSCR. Team members Trevor and Julianne stop by 13Wham/ Good Day Rochester to discuss how OSCR360 technology is a game changer for juries. Click to learn more. The OSCR360 Crime Scene Solution has been featured in Officer.com's July Law Enforcement Technology (LET) Magazine. Click to learn more. OSCR360 has been featured on the cover of Officer.com's July Law Enforcement Product News (LEPN) Magazine. Local company develops game-changing technology for juries. Click to Read Article & Watch a Video. L-Tron attended, sponsored and OSCR'd crashes at the 31st Annual Traffic Crash Reconstruction Conference in Illinois. Expert Crash Reconstructionist Chuck Grasso was on site to use OSCR for crash reconstruction demonstrations. This 5-hour refresher training is open only to active members of Law Enforcement. Mark your calendars and come see us at these 2018 conferences. 13Wham News explains OSCR360 and how local DAs are using it in several upcoming trials. Sgt. Charles C. Grasso III, Ret. L-Tron Corporation specializes in purpose-built equipment for Law Enforcement. Our equipment is developed from your voice and is being used in over 2,000 municipalities across 49 states nationwide. Click to view our client list. View all of our solutions at www.L-Tron.com/Law. Our dedicated team of Law Enforcement technology experts have extensive experience and work with you to solve your challenges. We've also added two new members to our Law Enforcement Support Team. Hank Kula is a retired police Sergeant with 26 years in Law Enforcement. Chuck Grasso is as retired police Sergeant with 27 years in Law Enforcement. Our portfolio partnerships bring you world class solutions tailored to meet your needs. Partnerships include: Brother, Getac, Havis, Honeywell, LEM, Night Angel, Patrol Data, Zebra Technologies and more.